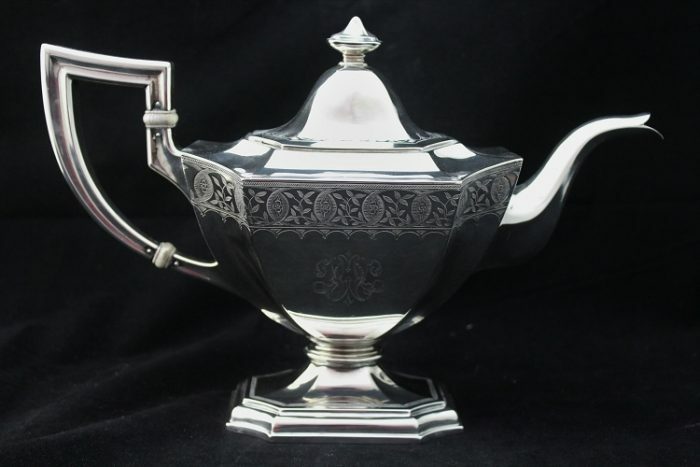 This is a Black Starr and Frost sterling silver tea pot with a Hester Bateman-like design. Its capacity is 1 3/4 pint and has a lid that closes tightly. The item is in good condition with no dents.